This durable International 30 in. 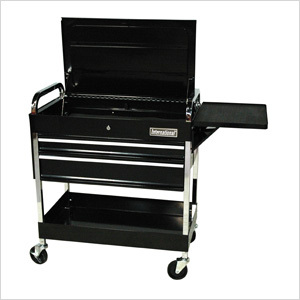 2-Drawer Deluxe Mechanics Cart is the ultimate tool storage cart for serious workers. With great extras like a magnetic tool holder and swivel casters, not only can you safely store your tools, but you can move it to any position in your garage or workspace.